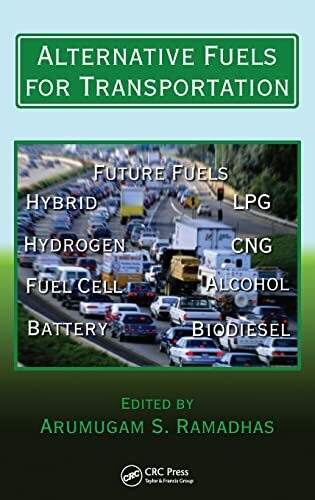 [PDF] Alternative Fuels for Transportation (Mechanical and Aerospace Engineering Series) | Free eBooks Download - EBOOKEE! Description: With existing petroleum oil and natural gas reserves enough for only several more decades, there is an imminent need for alternative energy sources. This critical situation has incited greater improvements in automotive technology and the increased use of nonconventional fuels. Alternative Fuels for Transportation covers the potential, production methods, properties, vehicle tests, merits, and drawbacks of alternative fuels. The esteemed editor highlights the importance of moving toward alternative fuels and the problems and environmental impact of depending on petroleum products. Each self-contained chapter focuses on a particular fuel source, including vegetable oils, biodiesel, methanol, ethanol, dimethyl ether, liquefied petroleum gas, natural gas, hydrogen, electric, fuel cells, and fuel from nonfood crops. For most of these fuels, production methods, storage, transportation and distribution, physiochemical properties, system modification, engine tests, economics, applications, safety aspects, material compatibility, and future scope are discussed. Although we now know that increases in greenhouse gases will contribute to global climate change, the transportation sector and decentralized power generation continue to heavily rely on petroleum products, particularly gasoline and diesel. Exploring how to counteract the worldâ€™s energy insecurity and environmental pollution, this book provides a comprehensive understanding of nonconventional fuel sources and technology. No comments for "[PDF] Alternative Fuels for Transportation (Mechanical and Aerospace Engineering Series)".